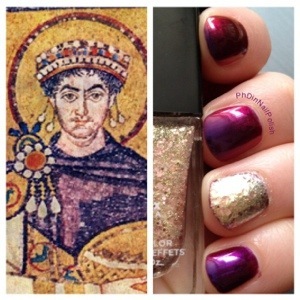 Today’s post is the first in the Nail Art History 101 series, which showcases manis inspired by real art (because I can’t help myself). 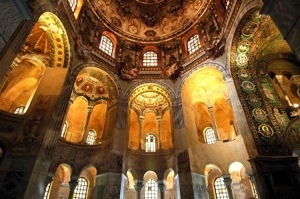 As you can see, on the left is a mosaic of Byzantine Emperor Justinian, who reigned over the empire during the sixth century. 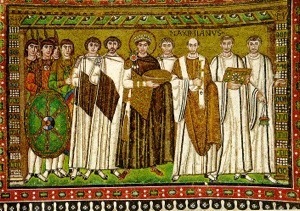 This mosaic is from the Basilica of San Vitale in Ravenna, Italy (which has a ton of amazing mosaics and some of my favorite architecture). 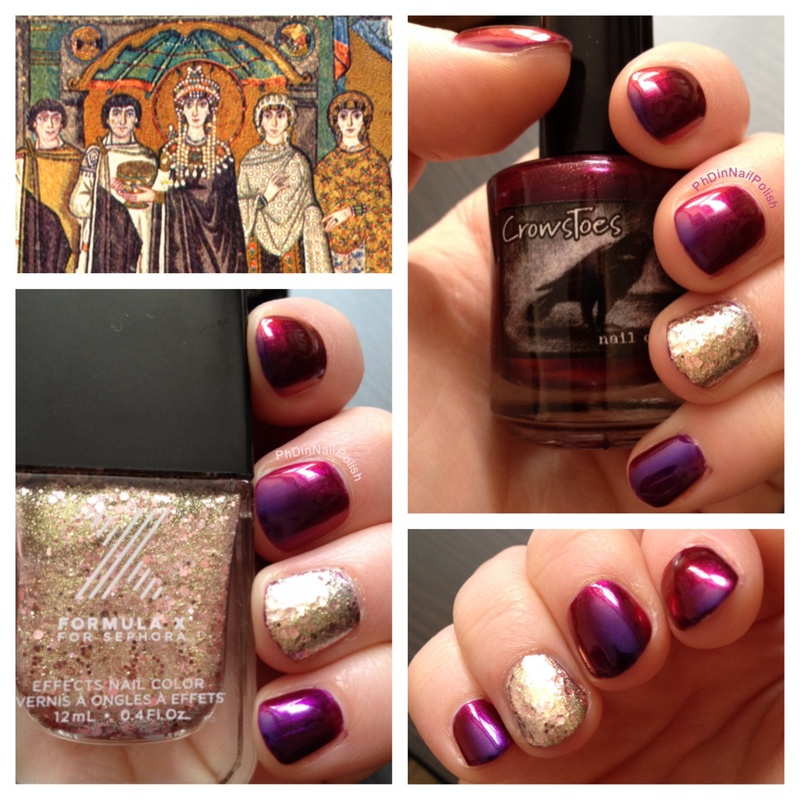 The nails (oh right, them) were done with two coats of CrowsToes “Indian Summer” (which I think makes a great Tyrian purple), with two extra coats of Sephora Formula X “Love Chemistry” on the accent nail playing the role of golden mosaics. Thanks! I’m already cooking up some ideas- think American abstract or Tonalist paintings.